Now that marijuana is legal in many states, as well as in Washington D.C., some underwriting departments have asked us to update their sensitive test results to allow for positive THC. Several clients indicated that waiting for sensitive test results can cause a delay in their underwriting process. By reducing your number of sensitive tests, some of these delays are eliminated and underwriters can make faster decisions. This is a simple change that is requested through our team and may include other tests as well. 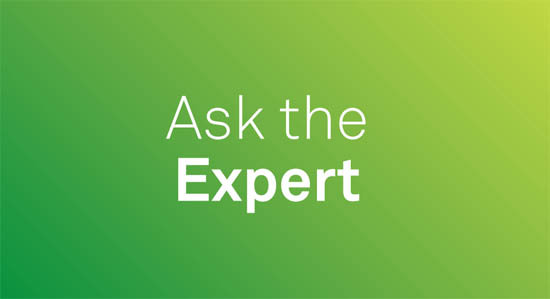 To walk you through this process, one of our Regional Account Managers, Rebecca Shady, answers some frequently asked questions. Q. What results can be changed from sensitive to non-sensitive? Cocaine, codeine, fentanyl, hydrocodone, hydromorphone, morphine, norfentanyl, methamphetamine, marijuana, amphetamine, barbiturates, benzodiazepines, methadone, oxymorphone, oxycodone, phencyclidine, 6-monoacetylmorphine Each test is individually-based and a carrier can customize which ones should be identified as sensitive versus non-sensitive. Please note, a sensitive test must be reported as sensitive on both the raw data feed and on the text report. Q. Am I able to customize my sensitive results by state? A. At this time, we only have the ability to classify a result as sensitive or non-sensitive. We are unable to discern categorizations by state. Q. What happens when a result is changed from sensitive to non-sensitive? A. Once our team makes the change, all positives for that test will be received through your normal results feed. For example, if you want to start receiving THC as a non-sensitive, then a positive THC screen would appear with all other laboratory test results. Q. I’ve determined that we currently have some results marked as sensitive, but I would like to accept them as non-sensitive. How do I make this request? A. If you would like to update your requirements on what you identify as sensitive, please work with your Regional Account Manager (RAM). If you do not know who your RAM is or you do not have one, you may email our team at CSG.RAMS@QuestDiagnostics.com and one of our team members will contact you regarding your request. Q. Can HIV be reported as non-sensitive? A. At this time, any and all positive HIV results must still be reported as a sensitive test result. Q. Will the process change for those tests that I want to keep as sensitive? A. No. For any test that is currently identified as sensitive, you will continue to receive those results the same way as you do today. We hope this helps answer any questions you may have regarding sensitive test results. If you have additional questions, please contact your Strategic Account Executive or Regional Account Manager. Smoking raises red flags for insurers across the board – applicants are usually rated if they produce a positive cotinine test. Further, tobacco use can lead to the potential onset of additional health risks, such as cancer, heart disease, stroke, diabetes and/or lung diseases. 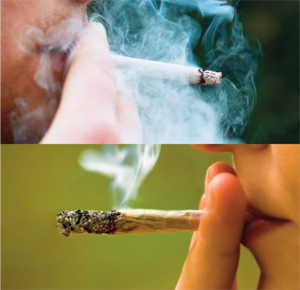 Aside from these health concerns, studies show a correlation of tobacco use and marijuana use. Statistics also reveal an increased risk of positivity for other drugs of abuse. Overall, tobacco users are nearly 5 times as likely to test positive for THC as non-tobacco users. Brian also discovered tobacco users were 5x more likely than non-tobacco users to test positive for methadone, PCP and cocaine. Further, marijuana users were nearly 25x more likely than non-marijuana users to test positive for PCP. They were also 15x more likely to test positive for cocaine and 10x more likely to test positive for methamphetamines. As the opioid epidemic continues to spread, it’s important for insurers to be diligent in their testing requirements. Laboratory expert, Betsy Sears, says as a result of the compelling data, there is a growing interest among carriers in using cotinine as a reflex for drug/expanded opioid screens. It’s important to understand that a positive cotinine test could mean more for insurers. Not only could it mean the applicant is at high risk for multiple health conditions, there is an increased risk the applicant could be misusing other substances that increase mortality. Navigate through the smoke by ensuring you are receiving a complete profile of your applicants. To review your parameters, discuss reflex testing or to complete an analysis on your applicants, please contact us.